Nyhet! Premium lydkort for gitaristen! Legg inn din bestilling nå! Since we pioneered guitar amp & effects modeling in 2002, IK Multimedia has spent more time studying guitar and amp recording than possibly anyone else on the planet. Modeling over 400 pieces of gear has required tens of thousands of hours painstakingly measuring the interactions between instruments, pickups and amplifier circuits, not to mention the cooperation of the world’s most iconic guitar players, amplifier manufacturers, and engineers to learn how to create and capture great guitar tones. AXE I/O brings all that experience to you. Every element of AXE I/O has been created with no-compromise quality and real-world usefulness. It’s the interface we wish we’d had all along. 117 dB dynamic range, 3 Hz – 32 kHz frequency response, up to 1 MOhm impedance – these aren’t the specs you typically find on instrument inputs. But they’re essential to capturing the most accurate details of your performance, for coaxing the best performance from your instrument, and for keeping your sound pure and transparent. 24-bit, 192 kHz conversion and an ultra-stable, low jitter internal clock ensures the highest fidelity, whether you’re capturing vocals, acoustic instruments, amplified guitar or just direct signal for use with AmpliTube. But that’s just scratching the surface. AXE I/O’s main channel offers 3 different circuit topologies – that means you have 3 different options to adapt to any type of guitar, pick-up and style so you can always dial in the perfect tone from any instrument. your sound in any way. JFET: a Class A JFET input buffer to add subtle harmonic enhancement. 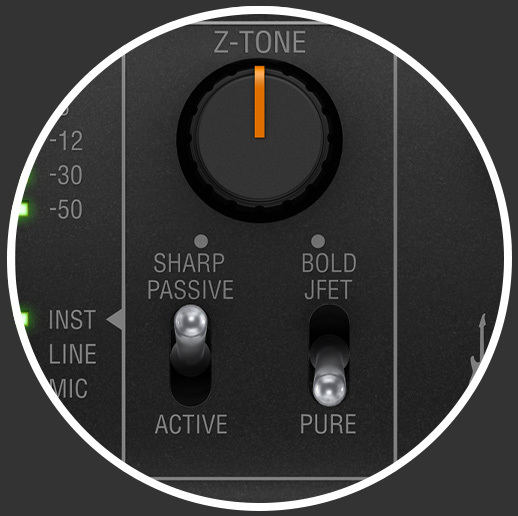 A slight midrange focus adds warmth, giving you more tonal options from the same instrument. ACTIVE: bypasses unnecessary gain stages when using active pick-ups, to keep your signal path as direct, transparent and clean as possible. All three stages offer 117 dB dynamic range to ensure the cleanest signal. And the 3 Hz – 32 kHz frequency response preserves the full sonic impact of your instrument. Unlike the 20 Hz bass response in budget interfaces, AXE I/O captures the full impact of even the deepest bass and won’t artificially cut off sounds above 20 kHz. When it comes to recording with microphones, AXE I/O offers two PURE mic preamps designed for transparent and clean recording. 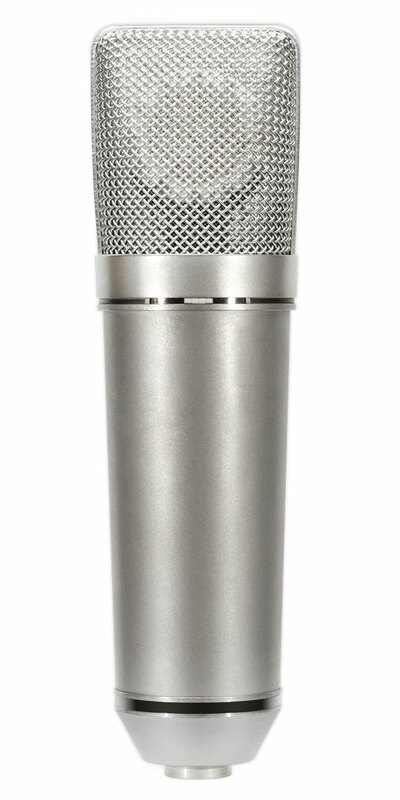 These mic pres offer a wide, flat frequency response: 5 Hz to 32 kHz, ± 0.5 dB (at 96 kHz) to avoid unwanted coloration and perfectly preserve the sonic character of your acoustic guitar, piano or other instrument, and maintain the signature of whichever mics you connect. They offer 116 dB of dynamic range, for ultra-quiet sound perfect for recording even the most delicate instruments, but make it easy to also pull back and record the loudest amp stack. Guitar pickups can dramatically change their character depending on the impedance of your preamp. Many guitar amps offer a load of 1 MOhms, while pedals can run much lower. That’s why the tone and responsiveness of your guitar can change so much when plugging into different gear. AXE I/O’s patent pending Z-TONE™ circuit lets you dial in impedance from 1 MOhm (“sharp”) down to 2.2 kOhms (“bold”) that interacts with your pick-ups. At the maximum impedance, you’ll find your sound tighter, sharper and more precise. Lighten the load and the sound becomes more thick and bold. as if it's been EQ’d. Many guitarists have tried to integrate their amps and stomps with recording setups only to discover it’s not an easy task! 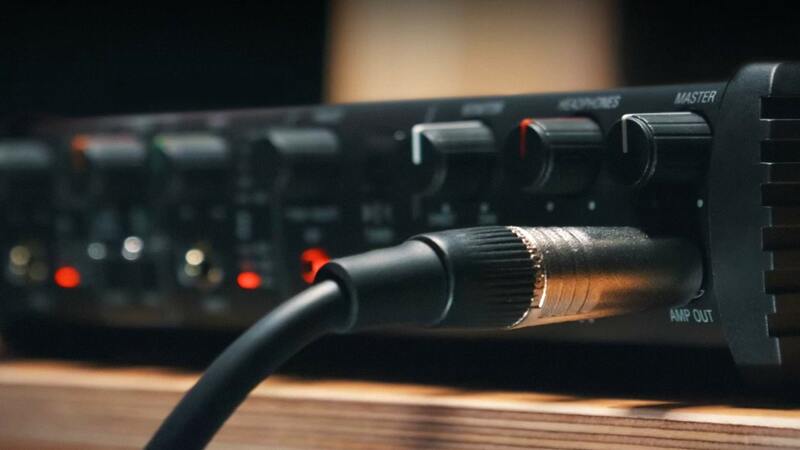 You used to need a DI box, a ground loop interrupter to prevent buzz and hum, and still have to constantly dis-connect and re-connect every time you switch between recording direct and recording your amp. AXE I/O makes this all easier than ever with its Amp Out. It features a dedicated ground-isolated low noise ¼” output right on the front panel for easy access. 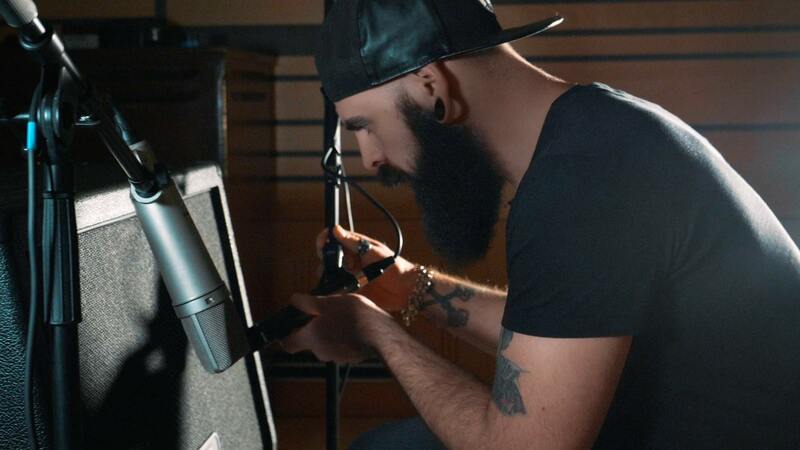 Just record a track with a clean copy of your guitar’s signal. Now you can use the Amp out to experiment with different amp, stompbox and microphone settings, or swap out a whole new rig! AXE I/O offers a simple, streamlined re-amplification setup in a single box, to save you time, money and energy and open up unlimited sonic flexibility for all your guitar recordings. 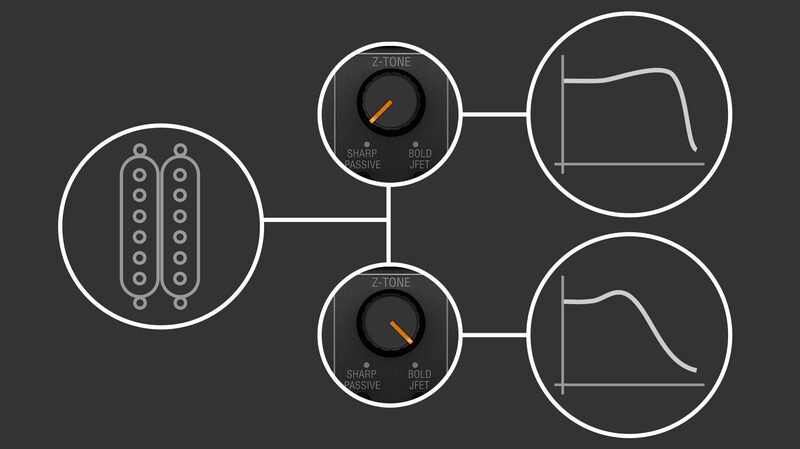 For those who prefer in-the-box modeling, AXE I/O also offers a range of useful features. 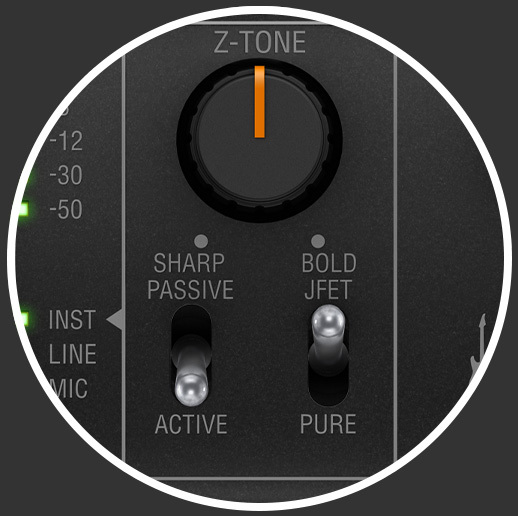 First, a Preset knob lets you quickly and easily scroll through AmpliTube presets. Just push the knob to select and load one. You can find the perfect preset without ever having to grab a mouse. And if you use any other software, the Preset knob can be freely assigned to any CC so you can have direct control of your preferred virtual rig. Second, two dedicated controller inputs let you connect up to two expression pedals or two single/double switches to control AmpliTube, or any other software, in real-time while playing. 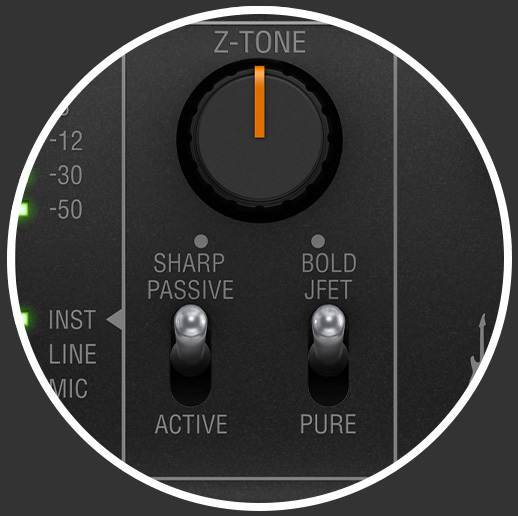 With AmpliTube’s MIDI Learn function, just right-click on any parameter you want to control, move the pedal, and it’s assigned. 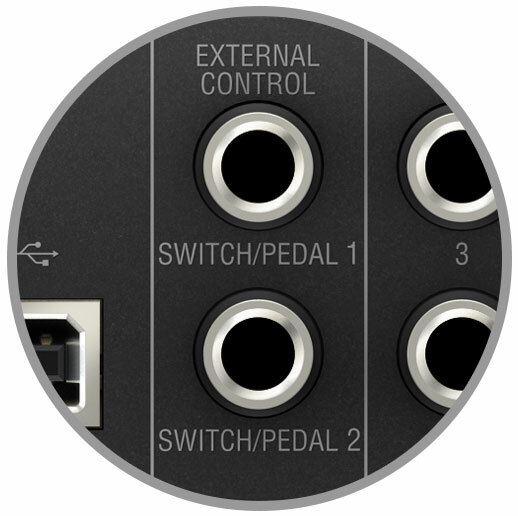 You can do up to 6 different controller configurations with AXE I/O, mixing pedals and switches, to suit your needs. 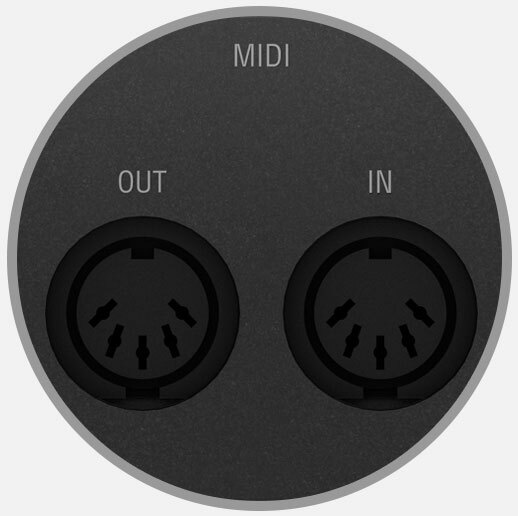 You can also use AXE I/O’s MIDI input and output to connect floor controllers or iRig Stomp I/O to add even more real-time controls - or use it with regular keyboards and other standard MIDI gear. There’s also a dedicated tuner on the front panel, making it easier to tune in between takes. And we’ve worked hard to ensure AXE I/O offers minimal latency, giving you the tightest response and feel while tracking. AXE I/O also includes a powerful, convenient Control Panel application to manage inputs & outputs, assign routing & controller inputs. 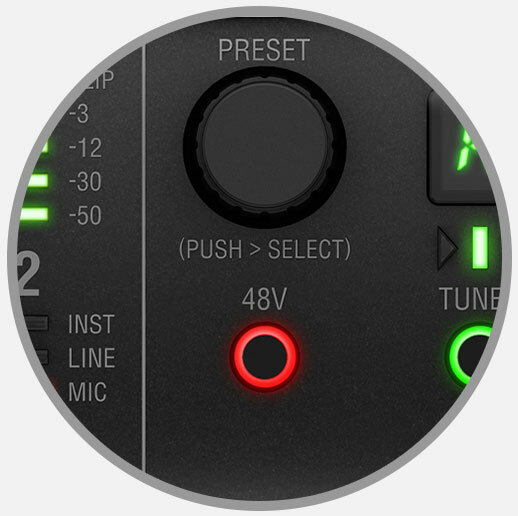 In the INTERFACE tab, you can view the active inputs, enable phantom power and control the ground lift to dial in the least noise for your setup. Adjust output volume, direct monitoring routing, select the sample rate and more. The CONTROLLER tab gives you control over the preset knob and 2 controller inputs. Set behavior, MIDI channel, MIDI CC #, minimum and maximum values, and more, to dial in the best settings for whatever application you want to control. The AXE I/O Control Panel lets you keep focused on your work, instead of adjusting settings on the unit itself, for a faster, freer workflow. AXE I/O offers a massive bundle of over $/€1,000 of software and plug-ins, so you have everything you need to track, mix and master your music right out of the box. 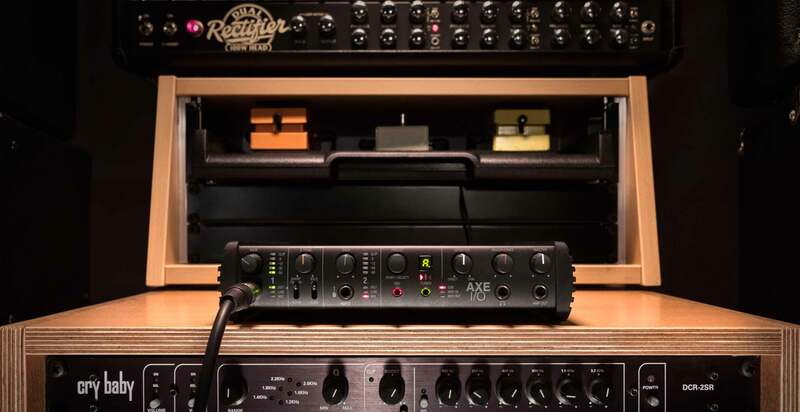 The included AmpliTube 4 Deluxe offers over 140 ultra-accurate models of guitar and bass amps, cabs, pedals, mics and more. 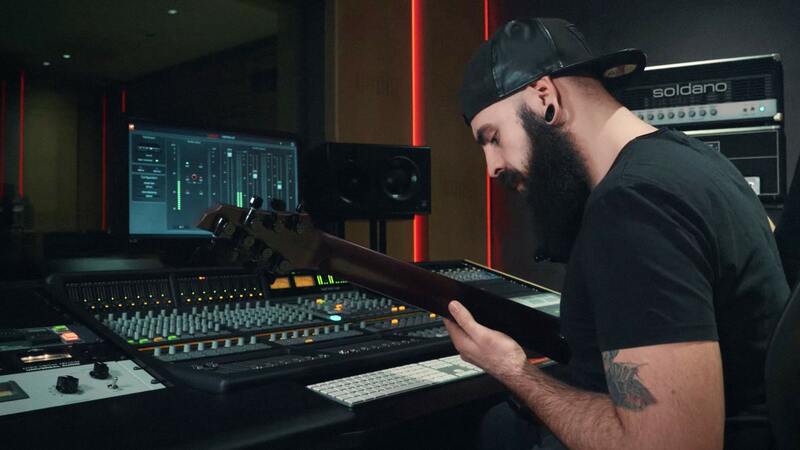 You’ll also receive a selection of 10 of our most popular and best sounding T-RackS 5 processors, covering the most popular outboard gear for mixing guitar, bass, vocals and any other instrument, and mastering full tracks with a world-class sound. AXE I/O also includes Ableton Live 10 Lite, a fresh and easy way to write music, record audio and produce your own songs.